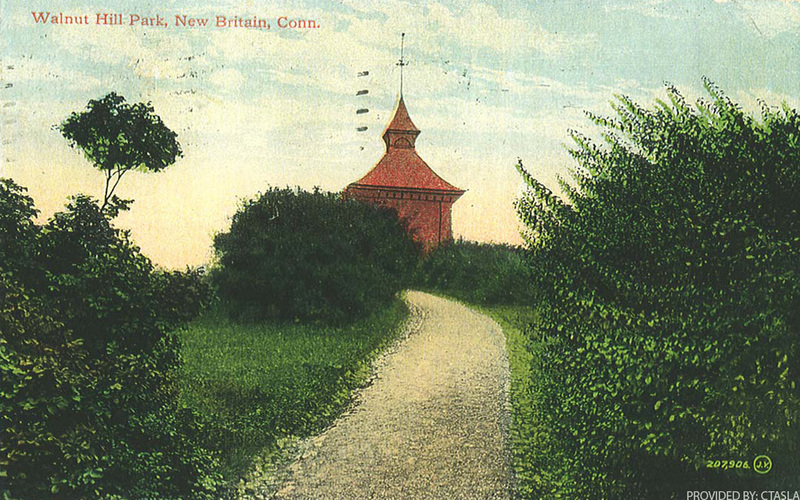 The plan for Walnut Hill Park in New Britain was produced in 1870 by Olmsted, Vaux & Co., the office of Landscape Architect Frederick Law Olmsted Sr., and is today individually listed on the National Register of Historic Places (one of only five Connecticut parks to be so honored). Typical of an Olmsted design, the natural features of the site were exploited and embellished. Walnut Hill Park is distinguished by its prominent topography and location overlooking the downtown area. 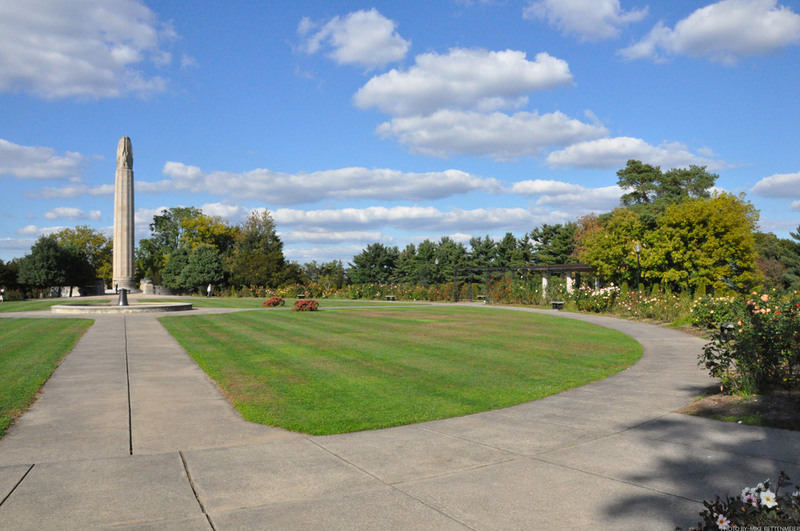 As has happened at most Olmsted parks, over the years many designers have added their talents to create a rich tapestry that follows the form of his original vision. 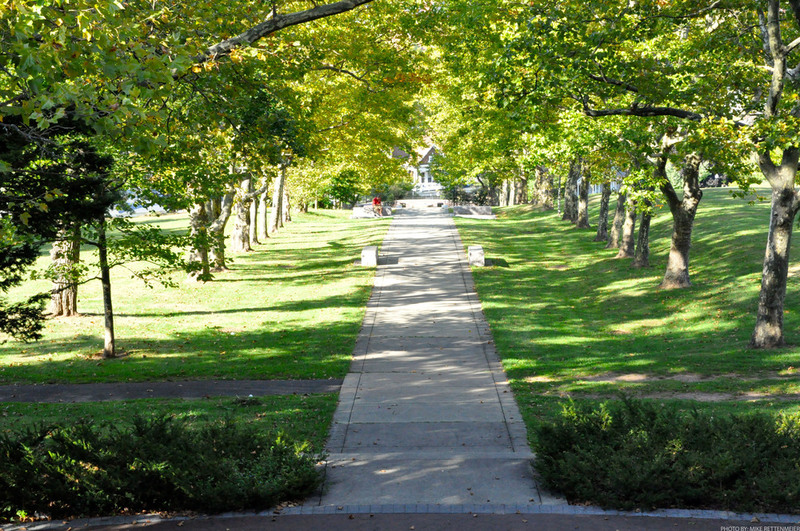 At the uppermost point of Walnut Hill Park, Olmsted had called for a scenic overlook with a meandering walkway following the slope down to West Main Street. Although this was never built, a 90-foot-tall limestone obelisk was built at the spot in 1930. 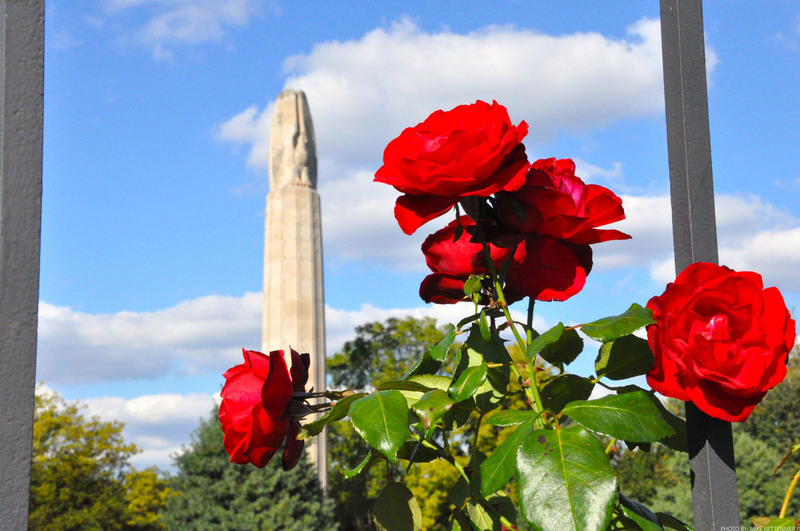 Designed by the renowned memorial architect, H. Van Buren McGonigle, the obelisk honors New Britain sons who gave their lives in World War I. In 1931 McGonigle designed a monumental walkway that climbed the 100-foot slope from Main Street to the memorial. At Main Street he placed a grandiose set of curving limestone stairs. 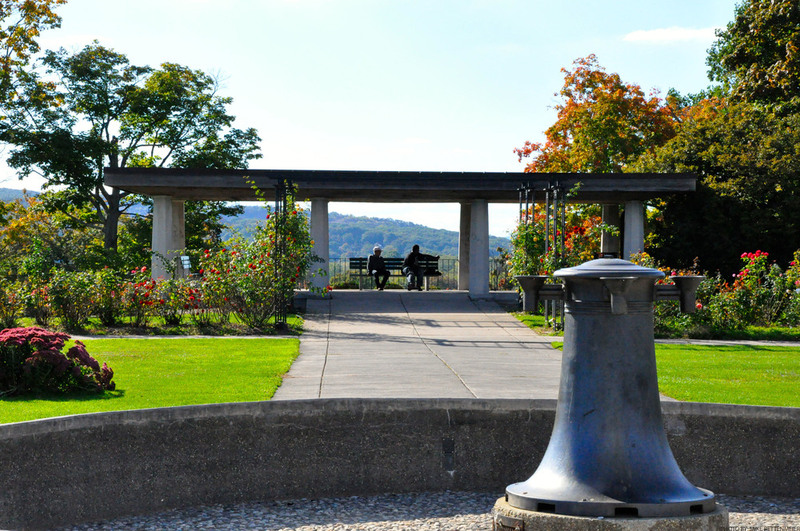 McGonigle engaged Arthur Brinckeroff, FASLA to provide a planting plan for the memorial and walkway area. The lower acreage of the park was developed as an open meadow with a carriage way at the edges circling the lawn. At each end of the meadow, Olmsted planned a large grove of trees. Today Walnut Hill Park is a lovely composition of trees and turf, just as Frederick Law Olmsted had envisioned. 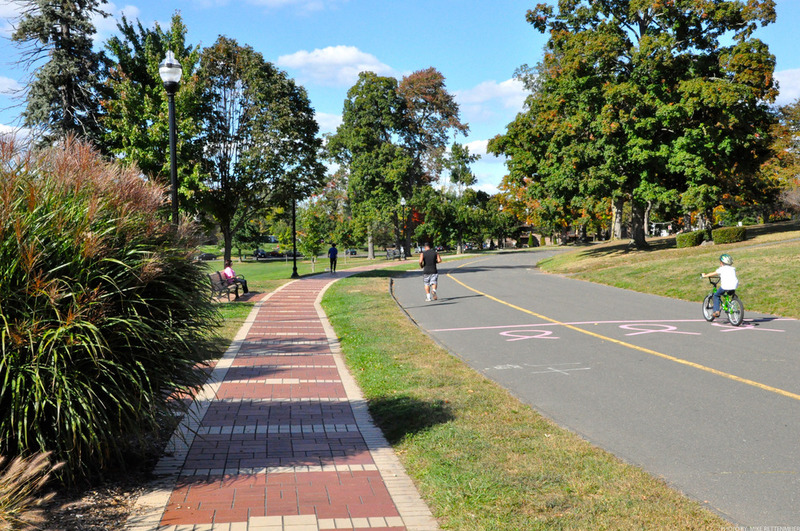 New Britain Parks & Recreation Dept.